After leaving million of devices at risk of hacking and then rolling out broken patches, Intel has now released a new batch of security patches only for its Skylake processors to address one of the Spectre vulnerabilities (Variant 2). For those unaware, Spectre (Variant 1, Variant 2) and Meltdown (Variant 3) are security flaws disclosed by researchers earlier last month in processors from Intel, ARM, and AMD, leaving nearly every PC, server, and mobile phone on the planet vulnerable to data theft. 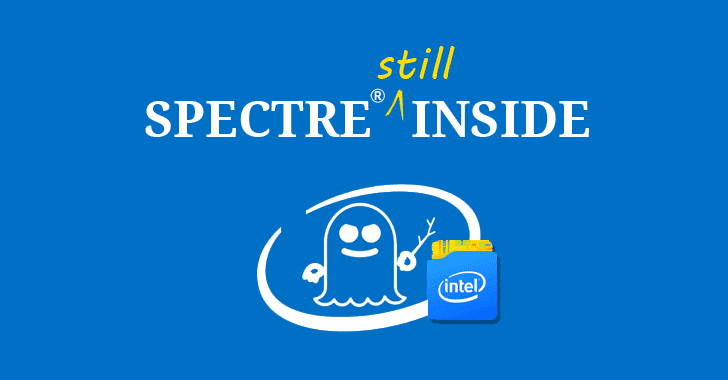 Shortly after the researchers disclosed the Spectre and Meltdown exploits, Intel started releasing microcode patches for its systems running Broadwell, Haswell, Skylake, Kaby Lake, and Coffee Lake processors. However, later the chip maker rollbacked the firmware updates and had to tell users to stop using an earlier update due to users complaining of frequent reboots and other unpredictable system behavior after installing patches. Although it should be a bit quicker, Intel is currently working on new patches and already in contact with hardware companies so that they can include the new microcode patch in their new range of firmware updates. So far, the new microcode update only addresses devices equipped with mobile Skylake and mainstream desktop Skylake chips, leaving the Broadwell, Haswell, Kaby Lake, Skylake X, Skylake SP, and Coffee Lake processors still vulnerable to Spectre (Variant 2) vulnerability. So, everyone else still has to wait for the company to release microcode updates for their systems. "Earlier this week, we released production microcode updates for several Skylake-based platforms to our OEM customers and industry partners, and we expect to do the same for more platforms in the coming days," the company says in a blog post. Intel has strongly urged its customers to install this update as soon as possible, because if not patched, these processor vulnerabilities could allow attackers to bypass memory isolation mechanisms and access everything, including memory allocated for the kernel containing sensitive data like passwords, encryption keys, and other private information. Moreover, after the release of proof-of-concept (PoC) exploit for the CPU vulnerabilities last month, hundreds of malware samples are spotted in the wild, most of which are based on the publicly released exploit and designed to work on major operating systems and web browsers. Although we have not yet seen any fully-featured malware based on Spectre and Meltdown vulnerabilities, it doesn't take much time for hackers to develop one. So, users are urged to always keep a close eye on any update that becomes available on their system, and install them as soon as they become available.